Versatile actress. In-demand commercial model. Total performer. There is no doubt that these words describe Yassi Pressman pretty well. At the young age of 21, Yassi has already portrayed several challenging roles both in TV and films. She has also been ranked as one of the sexiest women in the Philippines, and dubbed as the country’s “Princess of the Dance Floor”. But beyond what we see on our TV screens, or on our favorite magazines, there’s so much more about her. Through a common friend, Celine and I were able to meet her last March 16. We went to her shoot in a hotel in Ortigas with the hopes of getting the opportunity to interview her. Unfortunately, due to the want of her client to keep the shoot exclusive, things didn’t go as planned. We were not able to interview her, but she promised to look for a schedule when she can actually talk to us. Come Friday night, her road manager texted me if I were free to go to Navotas because she was filming Ang Probinsyano, and she could actually accommodate me on her dinner break. Right after receiving the text, I asked my dad to drive me there so that we can make it there on time. However, because of the heavy traffic, it was already past 8:30 when we arrived to the location. A few minutes after I arrived, she started introducing me to her co-workers, and then, finally, we started with our interview. Even though I was only able to spend a few hours with her, I now feel like I already know her in a much deeper level. These are the things I discovered about her. 1. She wants to do the things normal millennials do. Like other people her age, Yassi wants to make the most of her life. She is looking for some adrenaline rush. She wants to skydive, climb more mountains and discover more places to learn more about others’ culture. She also wants to see her friends more often to share stories and memories with them. However, her work hinders her from doing these things, but she has come to accept it. She believes that there are still a lot of things that can fulfill her. She is very positive that there will always be something in this world that will make her happy. Right now, she tries to satisfy her desires through watching the sunset in between shoots, listening to music. She knows the importance of finding beauty in the world. 2. She believes in the importance of establishing connections. When I interviewed her, there were a lot of times when she mentioned that she didn’t expect that she would become a celebrity. “I never really dreamt of becoming an actress. All I really wanted was to do commercials, go to school, I always had the love for dancing, but it wasn’t not like I want to be a dancing princess”. However, things started to change when a certain person discovered her and referred her to someone else, and that someone again took her to someone else. So, really, her connections truly helped her make a name in the industry. 3. She loves being with people. She mentioned in our interview that she wants to spend more time with her family and friends. However, she couldn’t spend that much time with her family even though she wanted to because of work. Fortunately, work allowed her to connect with more people and build more genuine relationships. This is evident in the stories she uploads in her Instagram account, where she is always surrounded with people. She also mentioned how she grew close to some of her co-stars like Coco Martin who, for her, is one of the kindest and most caring people she met. Also, there were many times during our interview when her co-workers stopped by her tent to say hi to her. I asked if it’s a common thing to her to have visitors on her tent, she told me that, she usually bonds with them during breaks. 4. She loves kids and kids love her too! Yassi mentioned that one of her goals in life is to be a role model to kids. She wants to remind them to be the best version of themselves at all times, and inspire them always. She only started to consider herself a celebrity when she was 15 years old. But during that time, she was also attending school, and was an honor student. However, because of the demands of career and school, she had to choose one between the two. She chose the more practical option, which is the latter, primarily because she is the breadwinner of her family. 6. She knows very well what people are saying about her on social media. There are a lot of times when she encounters hate tweets and negative comments, but she has come to accept that there will always be bashers. She also believes that these people are just saying the things that they are saying because they are behind the screens. While she used to respond to them in a funny way, she noticed that replying just caused more chaos, and that’s a major no no for someone like her! That’s why, she just mastered the art of dedma. Also, while social media can be the source of negative vibes for her, it is also where she feels that more people are able to appreciate her as an artist and as the person. “There are always more love comments than hate, and yun talaga yung nagpupush sakin to do things”. It’s really the feedback that she gets that keep her going. 7. Her alarm clock barely gets used. Why? Simply because she barely has time to sleep! Being part of the cast of Ang Probinsyano means that she has to film from Mondays to Saturdays. This means that she has to wake up at 4AM to be on time for her shoot, and stay there until 2AM the next day. Also, in between her tapings, she still has other photo and video shoots, and still manages to squeeze in some boxing or Muay Thai time to maintain her figure. Even on Sundays, she still has endorsement work, and shows to attend to like ASAP. The hectic schedule that she has makes her value time so much. No amount of time could be wasted because this would affect her schedule for her entire day. She sticks to her plan to keep her day organized. 8. Yassi is not just 100% but 150% committed to her job. In connection to the first point, being able to endure all these long hours of no sleep just goes to show how passionate Yassi really is to her work. However, the realization of this passion didn’t come easy. Actually, she admitted that on the first two years, when she was just starting out in the industry, the thought of quitting crossed her mind several times. This was because she still didn’t know what she really wanted before. Yet, now that she realized how much she loves the things she are currently doing, she plans to keep doing the same things who plans to do this until her hair turns white. Her commitment to her job was also reflected when she told me that she is not planning to take a break after her current show despite how work makes her exhausted. She wants to have a new project right after Ang Probinsyano. You go, girl! 9. 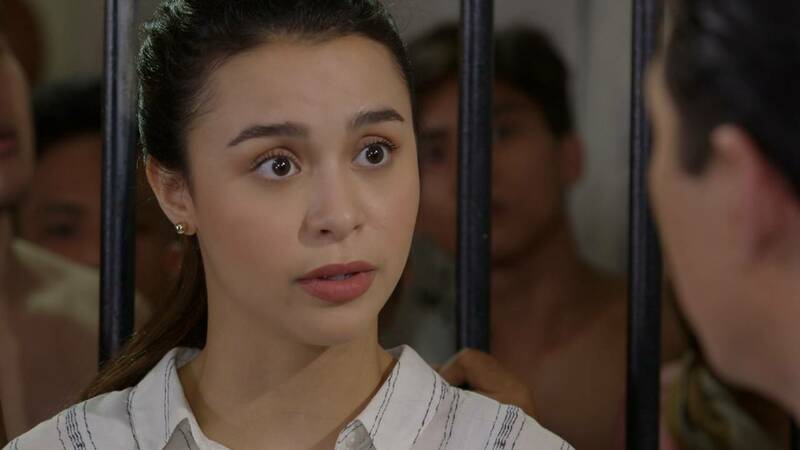 The real Yassi is very similar to the role she portrays in FPJ’s Ang Probinsyano. Alyana in Ang Probinsyano can be described as someone who is genuinely caring. Like Alyana, Yassi shows concern for even for people around her, even for those she barely knows, like me and my parents. When I arrived for the interview, the first thing she asked me was whether I ate dinner already. Also, when I already started my interview with her in her tent, she noticed that my parents did not follow us inside. I told her that they would just wait in our car, but she insisted that they should join us in her tent because she wants them to feel comfortable. 10. Yassi aspires to inspire. When I asked her what keeps her motivated to do the things that she do, she said that it is the people who she can inspire. She said that she chose this industry not only because she can earn a lot, but because she sees it as an effective medium that can help inspire people. She can’t describe her feelings each time people would tell her that she is their idol, and that they would want to do things because they want to be like her. The interview was a great learning experience for me. Even though I was only given limited time to have a glimpse of her life, I really feel like I discovered a lot of things about her. I was inspired at how positive she is with her life, how down to earth she is despite her achievements, how passionate she is with her craft and how she is inspired by others to keep moving forward. This just proves that beyond what we see on screens, there’s so much more to celebrities. What the fans or audiences have access to is just a small aspect of their multifaceted and colorful lives. They, too, have low moments, frustrations, and aspirations. Of course! A photo op after the interview!! !